New research published in the Journal of Occupational and Environmental Hygiene warns that older generators used in houseboats can lead to potentially life-threatening carbon monoxide poisoning. 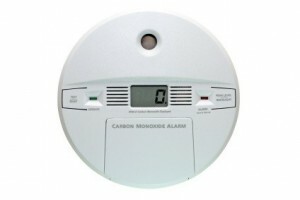 In the past few years, people have become fairly aware of the risks of carbon monoxide (CO) poisoning and this has lead to the arrival of many new laws in hopes of preventing severe injury by this “silent killer.” Every year, more than 400 people die and around 40,000 are hospitalized due to carbon monoxide poisoning in the United States. Four people suffered carbon monoxide poisoning currently due to unknown reasons at a house in the 900 block of Cypress Avenue on January 14, 2013, around 12 p.m. Carbon monoxide (CO) poisoning can cause serious harm. Many household appliances can release carbon monoxide, particularly if they are broken, aging, or have a hidden defect. Gas stoves, space heaters, furnaces, and other sources of combustion can all cause a buildup of CO fumes that can cause poisoning.